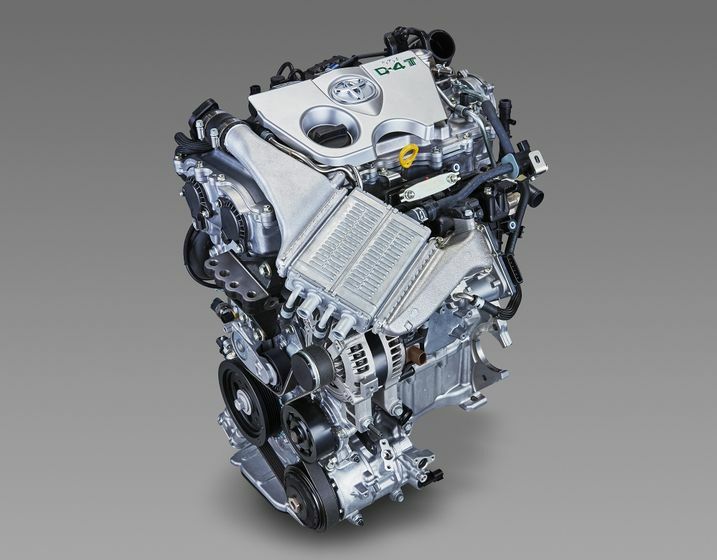 Toyota City, Japan (April 6, 2015) —Toyota is ready to debut its second turbocharged entry in a series of new engines with drastically improved thermal and fuel efficiency. The new 8NR-FTS 1.2-liter direct-injection turbo engine will be available as an option for the partially redesigned Auris, which went on sale in Japan today. Like the other entries in Toyota’s new engine lineup, development of the 8NR-FTS is a culmination of Toyota’s years of hybrid and conventional powertrain development, including breakthroughs in combustion and loss-reduction technologies. As a result, it delivers superb driving performance and acceleration, while also achieving impressive fuel efficiency and world-leading thermal efficiency. The engine pairs a single-scroll turbocharger with a cylinder head that uses an integrated water-cooled exhaust manifold to optimize exhaust temperature. This enables adaptive intake cooling that is not affected by the engine’s thermal load. The result: responsive acceleration and maximum torque across a wide rpm range. Toyota has also improved combustion speed by creating a strong tumble flow (a vertically-rotating swirl) inside the cylinder. This, together with advanced D-4T*1 technology, creates an ideal air-fuel mixture. In addition, continuous variable valve timing on the intake (VVT-iW*2) allows the engine to use the Atkinson cycle*3 by adjusting valve timing according to load. These improvements combine to produce maximum thermal efficiency of 36 percent*4, a leading level among mass-produced gasoline engines.